(1) Voyager is a Power/Progressive metal band from Australia, with oriental and even black/gothic elements. Their first album "Element V", released in 2003, had been welcomed as a very great musical surprise. Voyager's music is an extremely diverse venture, with melody and structure always being at the top of the priority list. Be it power, gothic, dark or even black metal music which the songs draw inspiration from, the end result is always a unique and tasteful interpretation. 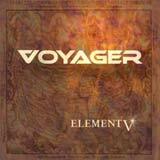 Virtuosity, neo-classicism, atmosphere and grooves are just some key terms which describe Voyager's style of metal. (2) Another project named Voyager: Pete Parsons is an electronic music producer behind the smooth, deep-atmospheric soundwaves of Voyager; the sophistication and quality of his music resulted in releases on the acclaimed labels such as R&S Records (Belgium), DJ Rap's Proper Talent and LTJ Bukem's Good Looking (U.K.). Through his Voyager alias, Pete Parson released "Hypersleep", considered among the most amazing Drum n' Bass tunes ever. (3) Voyager is also the name of a techno rave artist known for the track "Rhythm Dream" featured on the rave compilation "Zoo Rave 1".